A high powered smart microwave with advanced features and everything you need in a microwave. 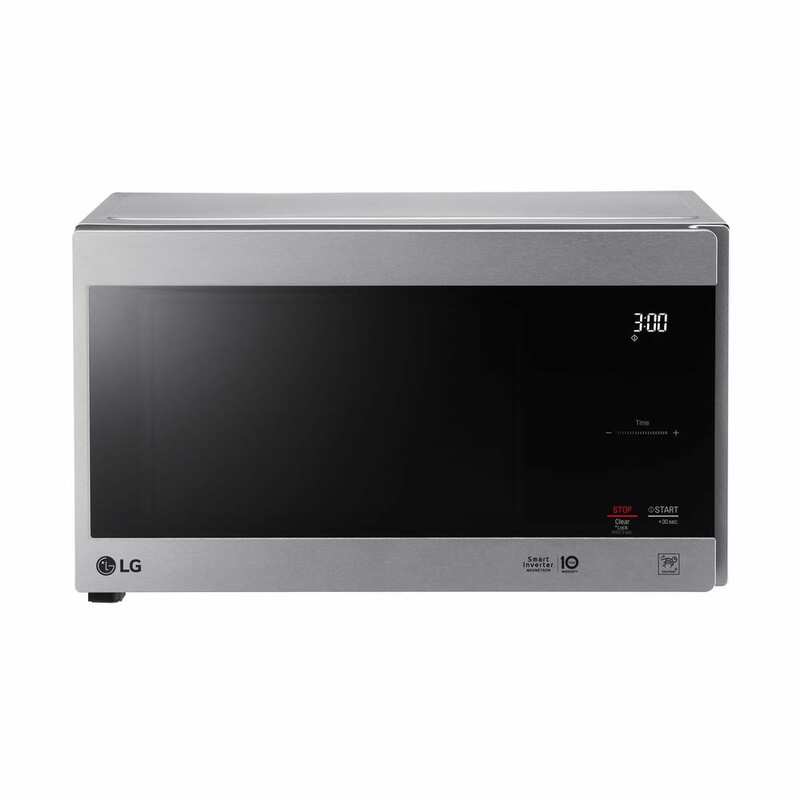 The LG Neochef is our top choice for a powerful, advanced compact countertop microwave. The Toshiba compact microwave is a great option for smaller counter spaces like a dorm or a small apartment. The Samsung Countertop Microwave is a large-sized high powered microwave that has everything you need to cook your meals. For all of your large family meals, choose this high powered Sharp Countertop Microwave. Microwaves are perhaps some of the most useful yet overlooked kitchen appliances nowadays. Maybe it’s because most if not all modern kitchens are equipped with these powerful machines already. 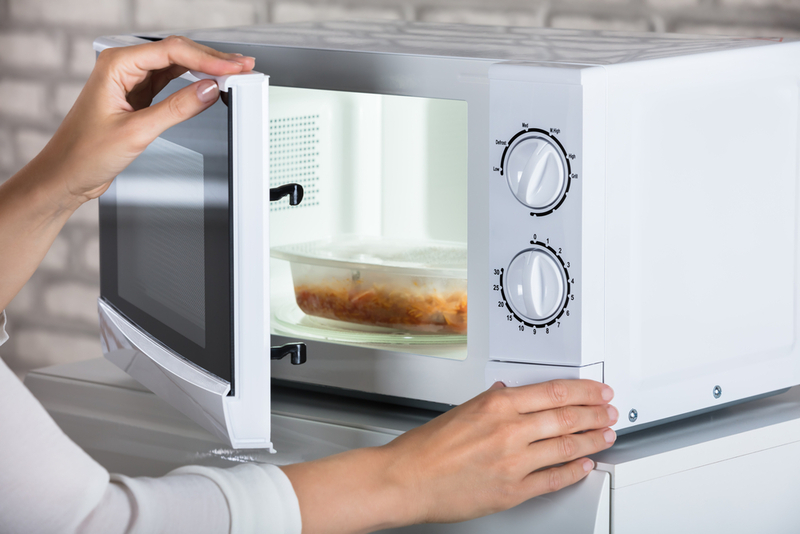 On the other hand, if you’re looking for a new microwave to put in your new apartment, dorm, or remodeled kitchen, then we’re here to help guide you to the best countertop microwave. As you may imagine, microwaves come in all shapes and forms and with a growing number of features. You can now cook, steam, and even grill your food through a microwave. On top of the amazing new features, there are plenty of different types of microwaves to fit all kitchen sizes, lifestyles, and budgets. Before we get into what you need to know about microwaves, we’ve picked out 5 of the best countertop microwave ovens to buy. Our top choice will do just about anything you want except open its own doors and put the food in. 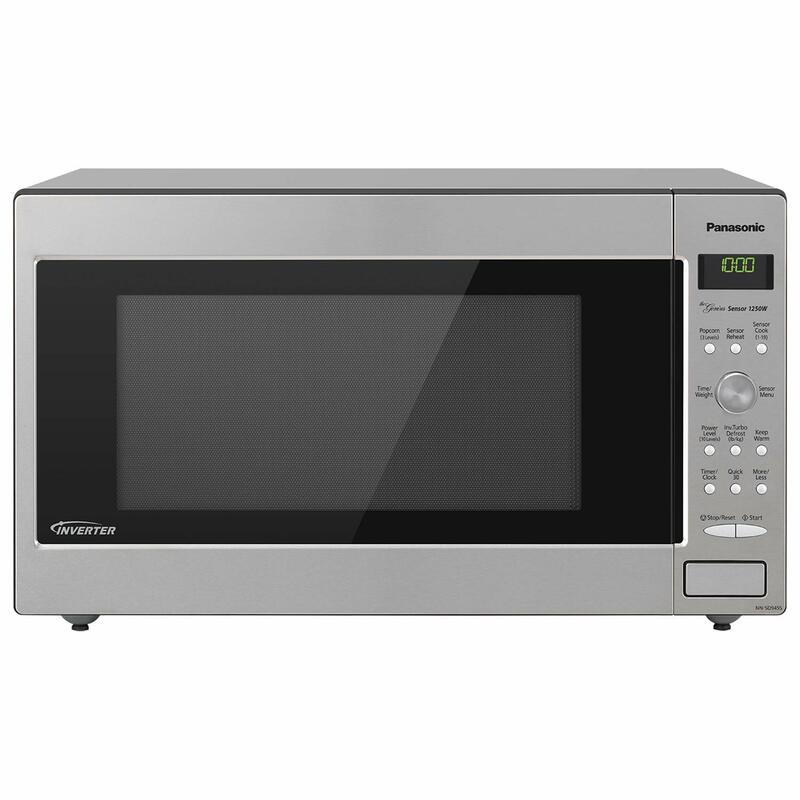 This powerhouse countertop microwave is a top seller from Panasonic for its many features and great reviews. Technically it’s a countertop microwave but this oven is available in as a built-in installation as well. This microwave is loaded with tons of features that make it one of our favorites including inverter technology so your food is cooked at a consistent lower heat power. This model also has a genius sensor so that it knows when to stop cooking your food once it gets too hot. Basically, this Panasonic Microwave is everything you need in a countertop microwave. If you’re in the market for a new microwave but don’t want to dish out so much cash, there is a microwave for you. 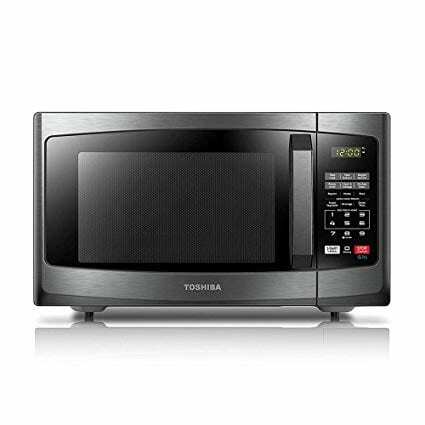 This Toshiba microwave is a top seller and conveniently priced under $100. The microwave is the standard small to medium size and can do all of the basic tasks you’ll need. In addition to the normal tasks, this microwave also comes with a pizza, popcorn, potato, and dinner preset so you don’t have to fidget with the settings. The black stainless steel and compact size will fit neatly on your countertop and add some style to your kitchen. Don’t have much counter space to give up to your new microwave? That’s not a problem. The LG NeoChef compact microwave is the perfect small countertop to fit right into your kitchen. It’s a mere .9 cubic feet so it will fit snugly wherever you put it, but will also fit a large dinner plate. Its design is a sleek black stainless steel look that would blend in well with the rest of your kitchen appliances. The LG Neochef doesn’t skimp on the features either. You still get inverter technology, 1040 W, and an easy to clean surface. 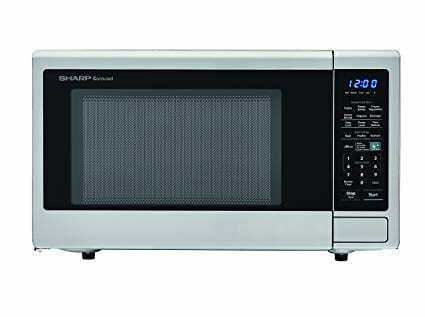 If you’re in the market for a large microwave that is suitable for making large dishes for families, then try out the Sharp Countertop Microwave. It’s about 2 cu big so it can hold large dishes and trays that can feed an entire family. You also get several preset programs, sensor cooking so you know when to stop heating up the food and fast heating and cooking with 1100 watts of power. This model is large and powerful, and according to the user reviews, lasts a long time. 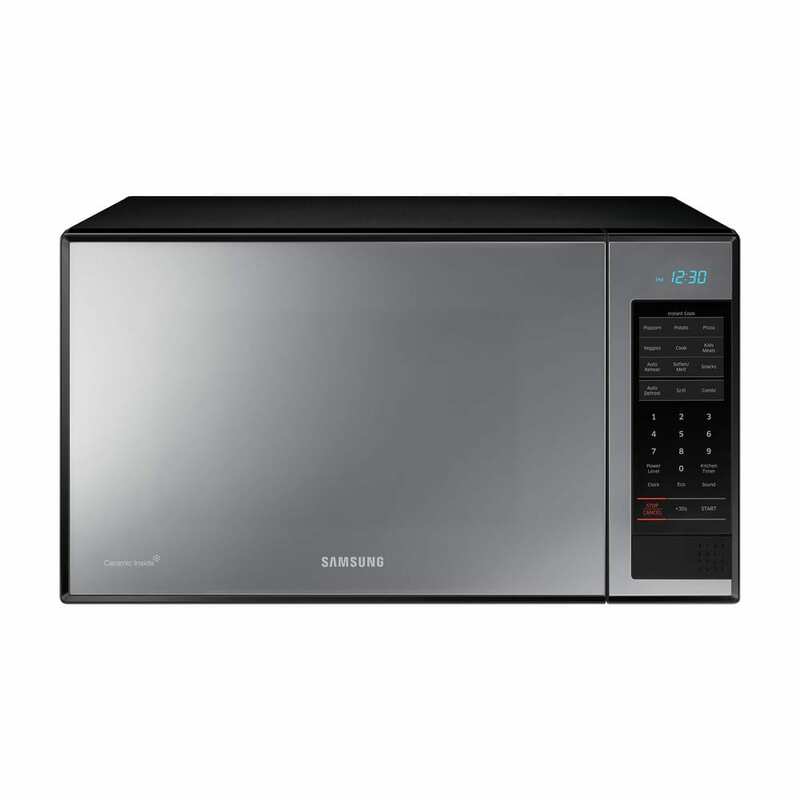 Another great option for a countertop microwave is the Samsung Countertop Microwave. 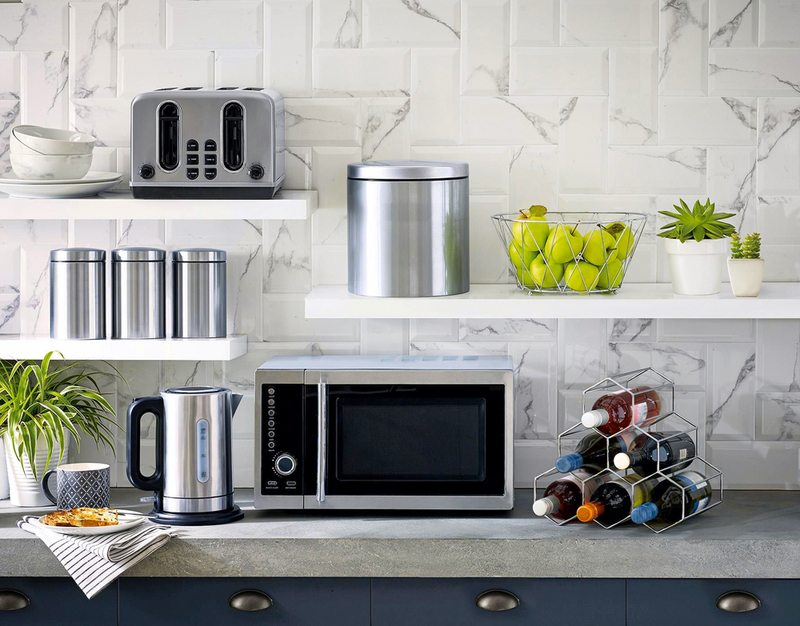 This sleek microwave is built with everything you need including some “smart’ features. The microwave has a spacious interior that will fit most normal sized plates and a grilling feature so your food comes out evenly cooked. You can also put the microwave on eco mode if you want to conserve energy, which is great for apartments with a power limit. The great thing about this product is the warranty that comes with it. In the event that the microwave or a specific part malfunctions, Samsung will replace it under its 1-year warranty. Some parts even have up to 10 years warranty so you can be covered. We live in a time where finding a microwave that fits your particular needs is extremely easy. Because of the innovation in the kitchen appliance industry, there are several types of microwave ovens to choose from. Before you begin your hunt for the best microwave oven, get acquainted with the three types of microwaves out there. Depending on the amount of space you have or the installation options, you may go with a countertop, over the range or even built-in drawers. As the name suggests, a countertop microwave is one that requires little to no installation besides plugging it in. The important part to note about countertop microwaves is the size. They usually come in several sizes ranging from small to large, and a variety of power and settings. A typical size for a medium is between 0.5 to 1.5 cubic feet. Countertop microwaves are usually also pretty affordable, depending on the brand you get. There are several countertop microwaves that available as low as $100 or even lower. If you’re going to go for a countertop microwave, the most important thing is to know the measurements of your counter space so that you can choose one that will fit nicely. An over-the-range or OTR microwave is the microwaves that you usually see sitting above a stove or counter space. These microwaves are great because they take up no counter space. However, in exchange for that, over the range microwaves require a more in-depth installation process. In most cases, you’ll need an electrician to install it for you properly because of the ventilation. These are some of the most popular microwaves available because of the space that they free up. Typically you will find these microwaves already installed in a remodeled apartments or in a kitchen that is being redone. Most of these models also measure out to be larger than the countertop ones. The built-in drawer microwaves are some of the newer models to hit the market, and they are popular for their convenience. Built-in drawers are great because they don’t take up counter space and instead fit into your cabinet or drawer space in your kitchen. These models are sleek and integrated into your kitchen storage space. They are extremely popular among new homeowners, remodelers or people who are keen on the interior design of a kitchen. Because the new microwaves are fully integrated into your cabinet space, they tend to be the more expensive models out there. A popular place to install these is below your counter. Shopping for a microwave oven may seem like a straightforward thing but you’d be surprised how much goes into finding the right one for you. There are several things to take into account when shopping for a countertop microwave oven. First, the size is important because of how much space you are willing to sacrifice. Once you figure out the size that you want you can go on to the specs and fancy features that are available out there. Before purchasing a countertop microwave you should make sure you measure your counter space in your kitchen. Measure the length and width of the general area that you’re willing to place it, then take them with you when you go shopping. The measurements are usually length x width x height inches. The size of the outside is important for countertop space but another important measurement is the interior space. This determines how much you can fit inside. The interior is measured in cubic feet which are calculated by multiplying the length by the width and height then multiplied by 1,728. Make sure you get a microwave that is big enough to fit some of your biggest dishes. Instead of doing all of the calculations, you can use this general guide for the interior cubic feet. Another important factor to keep in mind is how much power a microwave uses. The power of a microwave uses is measured watts. Generally, the higher the wattage the faster the food can cook. You’ll want to get a microwave with a high enough wattage to heat up your food evenly and in a timely manner. The range for a microwave is 500 to 1,200 watts. Higher wattage microwaves are available, but those are typically good for cooking entire meals for a family. Power often has to do with the size of the microwave as well. So smaller microwaves tend to have a lower wattage output, meaning that it will take longer for your food to heat up. If you just plan to reheat food or pop popcorn then this is suitable. If you’re wanting to do more than that like bake entire meals then check out a midsize or larger sized oven. Some of these models go up to 1600 watts. Choose one depending on your needs and the power limits of where you’ll be living. If you have a wattage output limit then this is something to keep in mind. The number of presets refers to the buttons on the microwave that have a preset time and power to make something specific. The most common preset button is probably the popcorn setting, which allows you to make popcorn without setting the power or time manually. Simply put in the bag of popcorn and allow it to cook. The same goes for other presets like Dinner Plate, Baked Potato, Frozen Pizza, Beverage, and Frozen Vegetable. In addition to presets, your microwave should have shortcut buttons for minutes like 30 seconds, 1 minute and upwards. This makes it easy to place things in the microwave quickly. An important preset to look out for is the defrost button, which is a useful function for microwaves. Instead of playing around with the different settings, your microwave has a preset that will make your food thaw out without you having to do. The number of preset buttons depends on the model. Newer models have even more features for cooking meals like oatmeal, pasta, and some stews. Some of the high-end microwaves have up to 100 preset features that can make all kinds of dishes. You’d be surprised by all of the things you can use your microwave for. Gone are the days of using microwaves to only reheat your leftovers or a bag of popcorn. Nowadays technology has brought us to a place where we can use microwaves to cook just about anything or as an integral part of the cooking process. If you are going to use your microwave for more than just the basics, check out these high-end or “smart” features that are available. Convection– Many microwaves on sale nowadays have one or more built-in convection fans. The convection fans blow heat around the microwave so that the food heats up evenly. This feature can be used especially when cooking pizzas and roasts and is said to make them crispier and browned on top. Convection fans are common in microwaves but some models with more than one tend to be a bit pricier. Inverter Technology– When you want to cook something at a lower setting, such as 50% instead of 100%, most microwaves alternate the power between 100% and 0% throughout the cooking time instead of actually cooking it at 50%. When a microwave has inverter technology it is able to cook something at 50% the entire time, which opts for a more even cooking. Inverter technology also makes it easy to do things like melting butter or chocolate for baking a dish instead of overheating it. Some other things you can do are make an omelet or poach a fish using this setting. This feature is a newer feature, and be a bit pricey, but brands like Samsung and Panasonic offer this feature. Sensors– Ever left your food on for too long and pulled out food that was overcooked or even burned? Microwaves are powerful and usually cook at a high temperature, so if you leave it for too long it can destroy your food. A lot of new “smart” microwaves on the market now have sensor technology to tell when your food is too hot. If it detects too much steam coming from your food, it is either notify you or shut off completely. Grilling– Grilling food usually makes for a rubbery texture that is unsavory. Now some models, like Samsung have grilling options that evenly distributes the heat so you can properly grill meat. The grill sears the food on the outside then radiates heat throughout your food without adding more oil. Steam– Brands like Sharp and Samsung offer microwaves with a steam feature which is designed to keep your food moist while it cooks. This feature is especially important when cooking fish, vegetables, or even poaching eggs. Microwaves get dirty easily by food that spills and gets dried and stuck to the sides. When it comes time to clean it, you don’t want to have to struggle to get it cleaned. 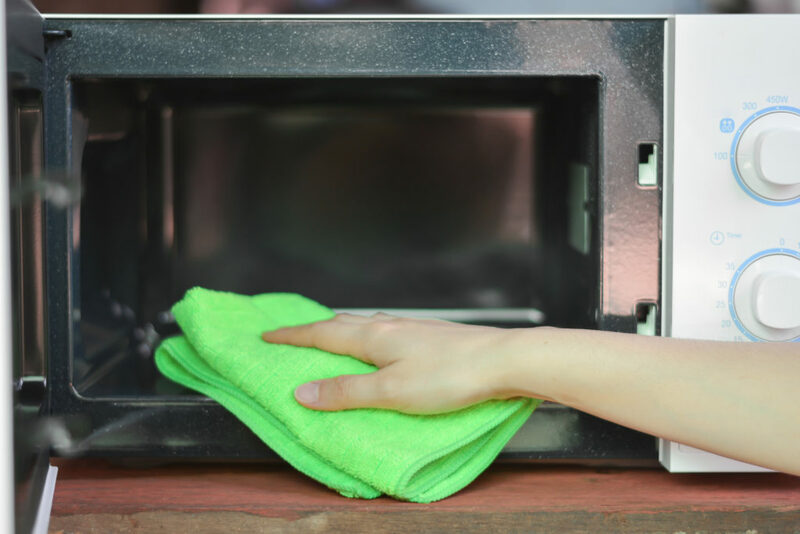 Your new microwave should be made with parts that are easily removable so that you can clean it thoroughly on the inside and outside. The inside of the microwave also should be made of that makes it easy to wipe down after regular use. Look for microwaves made of non-porous materials like porcelain enamel or stainless steel. Like any appliance, the price range for a new microwave varies based on several factors. The higher end the microwave, meaning the more features it has, the more money you’ll have to pay. Countertop microwaves, however, are some of the more affordable options out there. You can find a decent microwave with basic features around the $100 range if you want. Once you get into the bigger microwaves with higher wattage outage and more presets the price will creep upwards of $500 to $1000. Generally speaking, a countertop microwave should be under $500 and still have all of the features you want, work well and last long. Microwaves are built to last many years of use and in the case that something happens to any of the parts, they should be replaced under warranty. Check the respective brand to see what their warranty policy is. In the event that your microwave or parts malfunctions while you are under warranty then you should be able to send it in and get them replaced at no extra charge. The typical amount of time for the warranty for a microwave is about 6 months to a year.